Here at Axess 2, we’re passionate about form and function, and are proud to offer the unique, innovative and state-of-the-art range of lift productions we do. From corporate placement to lifts for the home, we boast an extensive selection of lifts that offer both quality design and quality technology in one impressive piece of kit. So, we thought it only right to bring you a spotlight look into one of our most popular lift designs, the Qube Home Lift – the smallest, most compact home lift on the market. Enjoy. Apart from its sleek and customisable aesthetic, the Qube has been designed to fit as efficiently as possible into homes with little or limited space, making it the go-to option for homes of various location. Offering a wide range of both internal and external finishes, the Qube home lift ensures that it will blend seamlessly into any surrounding decor, making it suitable for both modern and traditional homes. 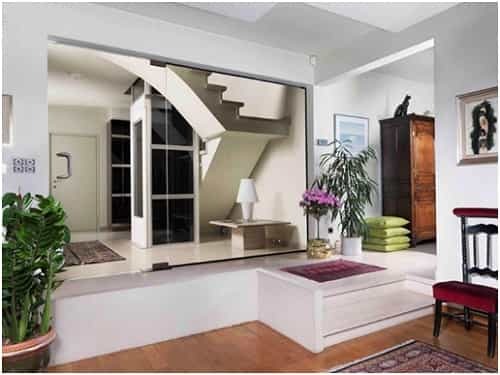 With a light travel height of up to 13metres, the Qube home lift will also allow you to travel in comfort up a small step rise or several stories. The Qube home lift uses a large screw like design that raises and lowers the lift platform. 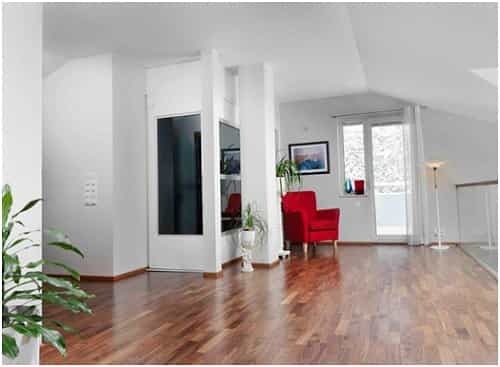 This means that the lift does not require a machinery space, and can be placed directly on the floor, anywhere in the home. All that is needed is a 50mm deep recess for a flush alignment with the floor. As the Qube home lift requires no extra work in either house construction or further installations, there is no other simpler, more flexible or cost-effective home lift design as the Qube. If you want a more hands on approach with the designing of your home lift – that’s exactly what you’ll have the chance to do with the Qube! From the model selection to colour, lighting, flooring and material customisation, you’ll get the opportunity to choose from over 200 colours for the shaft, doors and lift car interior – your design, built your way to enhance your home. 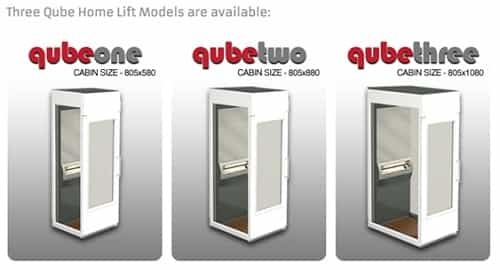 Due to its extremely compact and innovative design, Qube home lift is the smallest on the current market, and takes up no more space than a conventional wardrobe! And there you have it! Just a few reasons why, if you’re looking for a compact, impeccably designed home lift – the Qube lift may just be the ultimate choice for you. 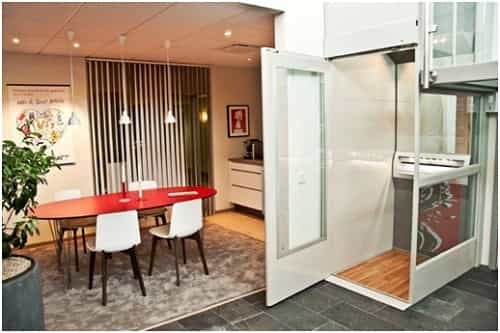 To see our other range of home and corporate lift options, please visit our website, and for more information on any of our services – please do not hesitate to contact our friendly and dedicated team on 01200 405 005 today!